Old map by DELISLE - Carte Des Pays Bas Catholiques Dressée. . . Publisher: DELISLE, G ./ BUACHE, Ph. / DEZAUCHE, J. 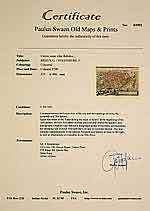 Title: Carte Des Pays Bas Catholiques Dressée. . . Size: 18.4 x 23.9 inches. 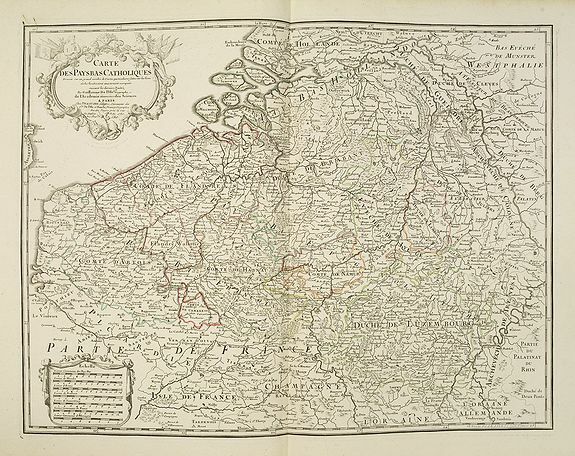 Topographically detailed map of the southern part of the Low Countries that extends from Paris to Metz and north into Holland. Details include roads towns and villages. Two decorative cartouches: one with figures, flags and a lion, and a cartouche with seven scales. A revised edition, dated 1780.